I stopped at the desk to sign in and explained to the receptionist I was a reporter from the local newspaper and was doing a story on a gentleman who lived there, a World War II veteran. As I made my way down the corridor to Mr. Walter’s room, I heard the receptionist behind me. His daughter, who I’d spoken with days before, failed to mention his condition, but because I was already there I decided to go ahead with the interview. As I passed room after room, each one looked the same: a single bed, a dark wooden nightstand, and a shiny brass lamp. I smiled at the elders sitting along the wall in their wheelchairs. “Mr. Walter?” I read his name on the plaque outside his door, but I would have never recognized him by the picture his daughter had e-mailed the day before. A soldier dressed in army fatigues, tall and thin, but with broad shoulders and an even broader smile. It looked as if the photograph had captured him in the middle of a hilarious joke. He looked up from a sunken blue chair, a blanket covering his lap. I could tell he didn’t understand what I’d said. I sat down on the corner of his bed and introduced myself, stretching my hand out to his while he slowly shook it. “Aw, you have soft skin!” he said hoarsely. Luckily, he knew I was a reporter and that I’d come to interview him for a story on local veterans. We spoke for a few minutes, and although communicating was difficult because he was hard of hearing, he had a quick wit and made me feel at ease. “Can you tell me a little about where you served in the army?” I asked. The interview began like many others, I asked questions and he answered them. I’d learned over the years as a reporter to say as little as possible, allowing the person to do most of the talking. And Mr. Walter did. He shared with me that he was a medic in World War II and during battles their battalion put crosses on their helmets signifying their position. Under the Geneva Convention, enemies weren’t allowed to bomb his area. “But it didn’t always happen that way,” Mr. Walter said. And so it went for thirty more minutes. Talks of soldiers and battle wounds mixed with Yankees baseball and his daughter’s first communion. Soon I put my notebook down and resorted to spending the rest of the visit talking with my new friend. I’d have to tell my editor we couldn’t use the interview. The longer we’d spoken, the more farfetched his stories had become. “I took out an army of men, over one hundred of ’em with my own bare hands!” he said, laughing. His face lit up as he spoke. It was clear he would fade in and out of conversations. I watched him closely and you could almost see it. He would answer one question precisely and to the point and moments later struggle to find the easiest of words. A nurse walked in during our conversation and she lovingly moved the blanket that lay in his lap to cover his legs. He thanked her by name but minutes later had forgotten she’d come at all. Before leaving, I thanked him for talking with me, and made my way to the hall. Standing at his doorway, I wished we’d met years earlier. “Did you see my postcard?” he asked. “No, I didn’t; show it to me,” I said as I walked over to the framed card beside his bed. As I picked it up, he told me it was from a woman named Emma. It was another of his stories. I was sure the postcard was significant in some way, but that was pretty farfetched. As I pulled out of the nursing home, I called Mr. Walter’s daughter from my car. I told her I’d visited her father and as much as I’d enjoyed talking with him, I couldn’t publish the piece because of his condition. She was kind and not surprised. She said her father’s dementia had worsened over the last few months. But before we hung up, I told her what her dad said about defeating an army of German soldiers with his bare hands. “That sounds just like him,” she laughed. I also went on to tell her about a postcard he’d shown me, and the story he’d shared of the woman, his childhood friend who’d stopped her wedding with minutes to spare and professed her love for him. “That one is true,” she said, quietly. She told me of the sixty-two-year marriage between her father and mother and how her mother waited for the soldier she’d always loved to return home from war. “They had never even been on a first date,” Mr. Walter’s daughter said. A week later I drove back to the nursing home and visited Mr. Walter again. He told me about Emma in great detail, never once trailing off as I’d witnessed days before. He recounted what Emma had worn the day he’d seen her upon his return, the address of their first home, their family pet, and Emma’s favorite flowers he’d planted along the front porch stoop. We published his story on the front page of the newspaper a week later. I hand delivered a copy to him. “Why do you think you remembered so much about Emma, but so little about the war?” I asked. I have faced many battles in my life. I served in Vietnam as a Marine Corps corporal. I also completed four tours in Iraq in the U.S. Army, and four of my sons served in Iraq, too. But all my battles have not been while serving in the military. My mother passed away from Alzheimer’s disease. I lost my son, Dennis Jr., in a motorcycle accident. And now, I am facing my own battle with Alzheimer’s disease. I was preparing for a sixth deployment to Iraq when my Colonel and my wife brought up concerns about changes they were seeing. I had just received a Secretary Manager of the Year Award, but I was aware that something was wrong. I had been waking up in the middle of the night realizing there was something I forgot to do — or something I needed to do. Recognizing my memory was changing, I decided to retire. Too many people’s lives would be at risk if I went on a last tour in Iraq. I was diagnosed in 2008 with early-stage Alzheimer’s. When I received the diagnosis of Alzheimer’s, it was almost a relief. It provided an explanation for what was going on. It also provided a path forward. There were plans I needed to put in place for the future. I had made my living will before my first trip to Iraq. But after the diagnosis, my wife Mary and I updated our advance directives, power of attorneys and will. Dennis Henley Sr. with General Franks and son Dennis Henley Jr.
Everything has been documented, so there is no dispute and no questions for my children when this disease progresses. We dotted all the “I’s” and crossed all the “T’s” to make sure everything is in place. It’s an important thing for anyone who has been diagnosed to do. It’s also important to realize that a diagnosis isn’t the end of the world. Truly – it’s not. You aren’t alone. There are so many people available to help you and so many people committed to finding a cure. It’s difficult to accept, but easier to do if you are open and honest with those around you. In fact, I talked until 2 a.m. about my diagnosis with one of my military buddies last week. I have friends that I went through grade school, high school and the military with, and we have no secrets. We openly talk about this disease. It’s a source of strength and comfort to have the people around me know what is going on. Alzheimer’s isn’t my fault. It’s no one’s fault. And there is no reason to feel guilt over it. It’s out of my control. It really helped having an Alzheimer’s Association representative from my local chapter come and explain why things aren’t like they used to be to my family. I have 11 grandchildren – and they all understand that things aren’t quite the same and the whole family is making adjustments. But that doesn’t keep us from spending meaningful time together, which is what I plan to do tomorrow on the Fourth of July. We will all dress in red, white and blue and gather together for a barbeque at my son’s house. Our flag will be at half mast, and I will remember the battles I have been in and the one I am facing now. I believe we are here to help others – to leave a legacy. As I spend time with my family, I know that I have left my mark by raising my family to be good citizens. And I still have more to give. I will keep on moving forward and not give up. Dennis Henley is a member of the national Alzheimer’s Association 2012 Early-Stage Advisory Group. He was diagnosed with early-stage Alzheimer’s in 2008. Prior to his retirement, he served in the U.S. military for 26 years, including working in counter intelligence for the Army and as the Chief of Security for the Army Corp of Engineers in Jacksonville, Fla. Dennis lives in Littlestown, Pa., with his wife, Mary. 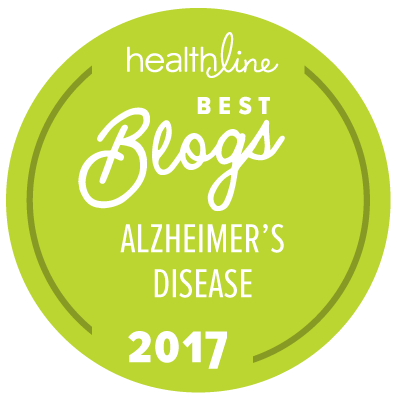 As someone who works for the Alzheimer’s Association with support programs for caregivers, I decided to do a little research today on our Message Boards, where Alzheimer’s caregivers are able to communicate with each other about their concerns and get information and support from peers. For those who have been providing care to someone with Alzheimer’s disease for some time, the result will come as no surprise, but for those who are newer to caregiving, you can turn up a result that may make you curious. If you go onto our message boards and search the Caregivers Forum with key words, you can pull about 30,000 posts containing the word “Alzheimer’s”, 14,000 that include the word “brain” and 10,000 that contain the word “neurologist.” No big surprises there, but here is the one that may surprise the newer caregivers: If you type in “UTI”, you will pull over 8,000 posts that are on 410 pages of our message boards. When UTIs are wreaking havoc with the family members of our Alzheimer’s caregivers, we sometimes see threads in which the caregivers are in a state of panic about the symptoms. And for good reason — the symptoms are powerful and can actually mimic the end of life for some people. These caregivers are used to a slow disease progression, and the UTI with no overt symptoms can make everyone involved act in ways that reflect their feeling that this situation is a life-threatening emergency. The good news is that, while the UTI does need to be treated right away, this is for the comfort of the patient and the family. UTIs do not cause permanent damage, and they respond quickly and successfully to treatment. And best of all, once the infection clears, the person returns back to their condition prior to the UTI. That’s when the message board posts show caregivers breathing a deep sigh of relief and thanking their peers in the online community for their caring support — and for tipping them off to one of the oddest but most treatable components of Alzheimer’s disease. I often am asked about whether behavioral or personality “traits” are related to cognitive functioning. Specifically, can they “predict” if someone will transition from mild memory trouble ( i.e. Mild Cognitive impairment-MCI) to dementia? Part of this question was addressed in a recent article by Chan and colleagues in the American Journal of Psychiatry. Participants in this study came from an ongoing epidemiological survey on MCI and dementia conducted in Hong Kong. In Phase 1 of this study, a total of 6100 persons were given the Cantonese version of the Mini Mental State Examination (MMSE) and an abbreviated subjective memory inventory for the Chinese (AMIC). Persons who had scores above the cut of dementia but with memory complaints were invited to participate in Phase 2. These persons were then evaluated by a geriatric psychiatrist, had additional cognitive testing performed to ascertain the Clinical Dementia Rating (CDR) score and were diagnosed with MCI (based on the Peterson criteria) or having no cognitive impairment. Neuropsychiatric symptoms were assessed using the Chinese version of the Neuropsychiatric Inventory (NPI). As is typical with the NPI, symptoms evaluated included a variety of behaviors such as delusions/hallucinations, agitation/aggression, depression, anxiety, euphoria/elation, apathy/indifference, changes in motor behavior, night time behavior disturbances and changes in appetite and eating behavior. Of the 788 persons who participated in this study, 388 were classified as having MCI and the remainder had normal cognitive function. The MCI group was older (74.5 y vs. 70.2y), had a higher preponderance of women, and had less education (3.6 y vs. 5.6y) compared to the normal cognitive function group. Roughly 36% of those with MCI and 29% of those with normal cognitive function exhibited one or more neuropsychiatric (NP) symptoms. Analyses were done to determine whether having neuropsychiatric symptoms predicted MCI or normal cognitive status. Although nighttime behaviors, apathy and anxiety were the commonest symptoms among persons with mild cognitive impairment (MCI), agitation, apathy and irritability were more prevalent in persons with MCI compared to persons with normal cognition. Few population based studies have examined the association of behavioral symptoms to the prevalence of NP symptoms in a group of community dwelling older persons and even fewer have addressed these changes in racially and ethnically diverse populations. This study attempts to shed more detail on the behavioral symptom profiles of persons with MCI. The fact that some of the behavior symptoms were noted in the MCI group and not in persons with NCI may suggest that these behaviors are related to specific cognitive deficits. Thus, NP symptoms could be thought of as a non cognitive marker of MCI and in turn could alert the health professional that a cognitive deficit may be present, which with progression, would lead to a impaired cognitive and motor function, caregiver burden, and worsening of quality of life. More studies, such as this one are needed in the Asian community which may in turn facilitate earlier treatment of cognitive impairment in later life.